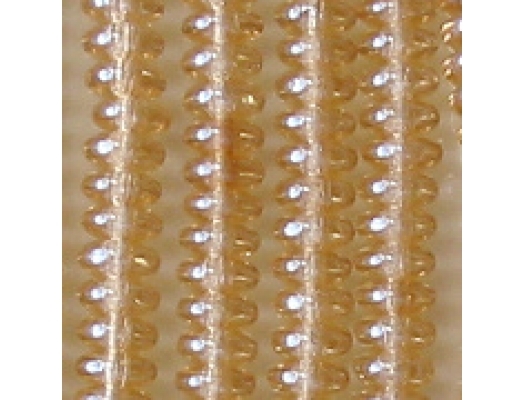 Size/shape: 2mm (thick) by 4mm (wide) rondelles (disk-shaped beads with the hole through the center). Colors/description: This is the Czech champagne color -- light gold (like champagne) with a lustrous surface. 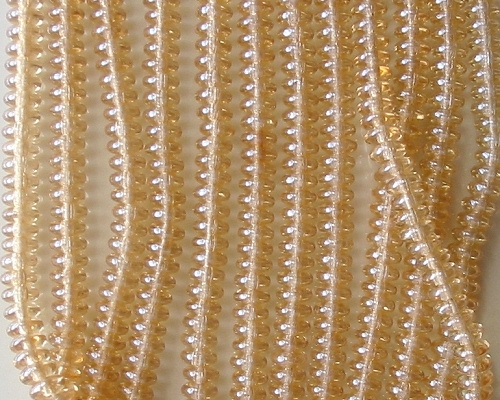 Defects: The beads appear to be in good shape, although very small beads are sometimes prone to malformations (meaning that an occasional bead may be malformed). How photographed: At the window in natural daylight. 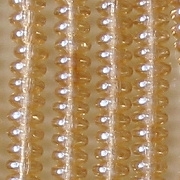 Comments: The color in champagne beads is entirely on the surface; the inner bead is clear. Date first posted: Not recorded.